The list of 10 tallest men known so far may be questionable as there seem to be over a dozen people who reached a height of 8 feet or above as recorded in medical history. 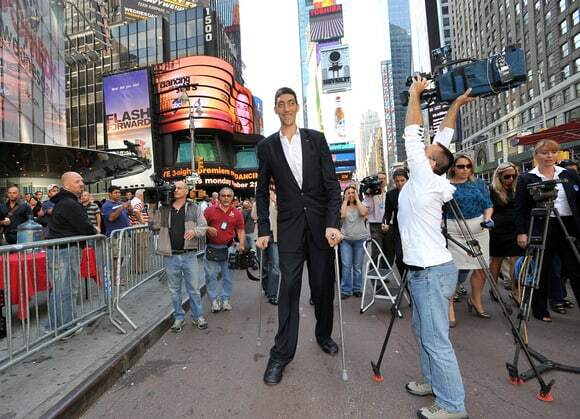 However, here is the official list of 10 tallest men in the world ever with respect to height. 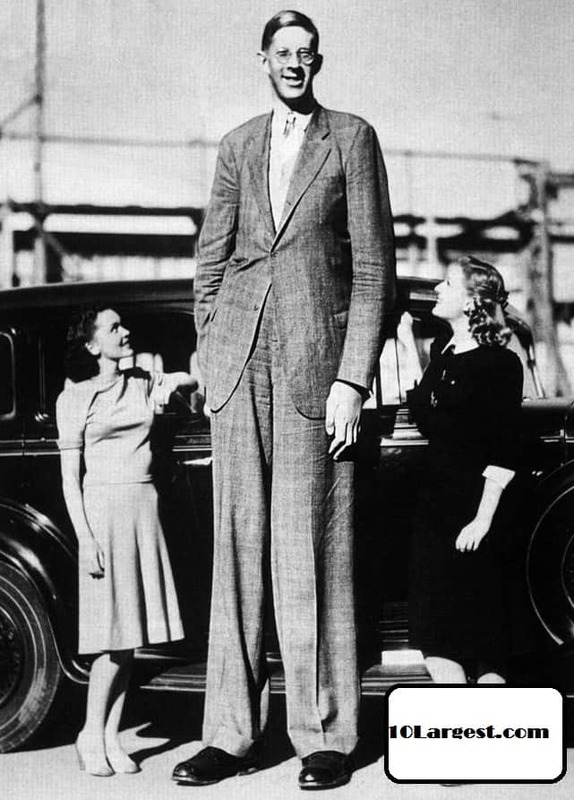 Till this date, Robert Pershing Wadlow, who lived from 1918 to 1940 is the tallest man recorded in medical history and there is unquestionable evidence available for making that claim. He also acquired the name of the “Alton Giant” because his hometown was Alton in Illinois. He was renowned for possessing the broadest and longest hands, which enabled him to conveniently cover up a two liter soda bottle in hands. At the time of his death he weighed 220 kg or 490 pounds and had attained a height of 8 feet 11.1 inches. His massive size and nonstop growth during adulthood was attributed to unusually high level of hormone for human growth. The hormone showed no signs of abating even when he was nearing his death. John William Rogan, popularly known as Willie from Summer County of Tennessee is among the twelve men included in medical history for having reached a height of over eight feet. 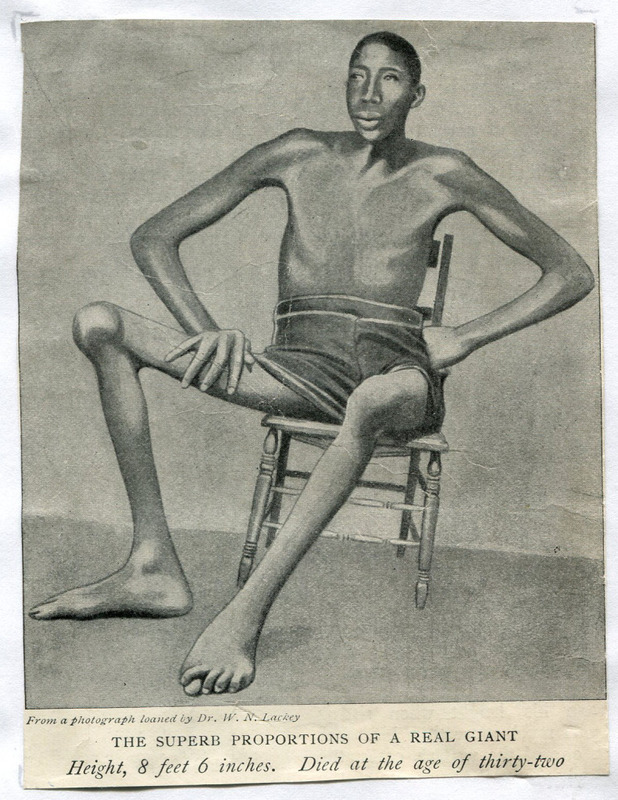 Though his height was 8 feet 9 inches or 269 cm, he weighed just 175 pounds or 79 kg. He has had the distinction of being the tallest Afro-American. His height started increasing quickly when he became thirteen years of age. The complications of disease, called Ankylosis led to his death in 1905. 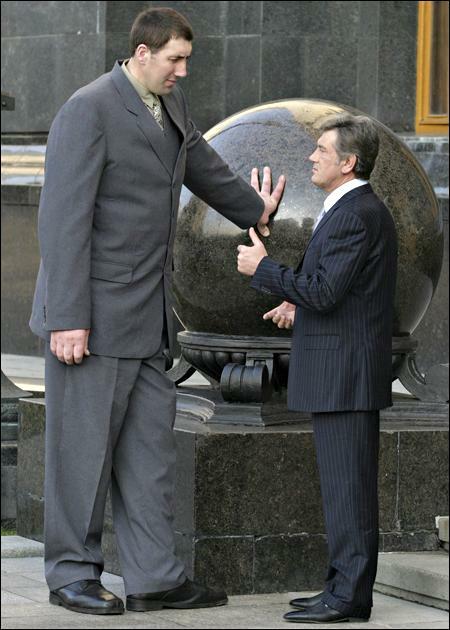 Born in 1971, Leonid Ivanovych Stadnyk from Ukraine is the man formally listed as the tallest living man as per the 2008 Guinness World Records. His height is 8 feet 5 in. Doctors believe that a pituitary gland tumor, which got developed when he was fourteen years of age, secreted large quantities of growth hormone that led to acromegalic gigantism. 20 years after they performed surgery, doctors were baffled to realize that the tumor had vanished. He is healthy now. Väinö Myllyrinne who lived from 1909 t0 1963 was the tallest person during 1961- 63. When 21 years old, he measured 7 feet and 3.5 inches or 222 cm and his weight was 31 stone or 197 kg. However, during his late thirties he underwent another phase of growth that made him attain a height of 8 feet 1¼ inches. He is among the dozen persons who reached a height of eight feet or more. He is probably the tallest African we know so far. Monjane from Mozambique started showing signs of unusual growth soon after his birth. He measured 7 feet 10 inches by the time he was 17 year old. 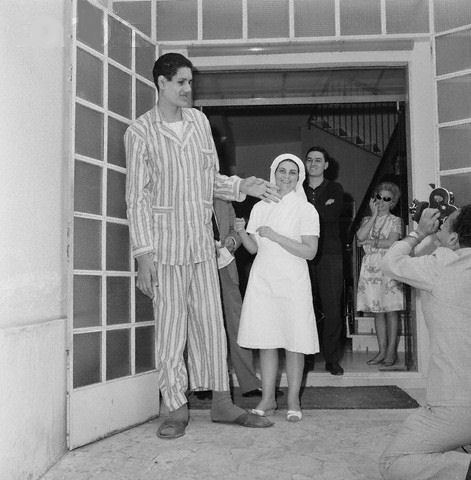 Around that age, he was attached to a Portuguese circus that claimed his height to be 8 feet 8.3 inches. However, during 1987, on being measured officially his height was found to be 8 feet ¾ inch while his weight was 29 stone 12lbs. Another individual to have crossed the limit of eight feet height is Suleiman Ali Nashnush who lived from 1943 to 1991. Apart from being an actor he also played basketball for Libya. His abnormal growth was corrected as a result of surgery that he underwent during 1960. With a height of 8’ 0½” or245 cm, he was among the tallest players of basketball that Libya ever had. Born during 1983, Sultan Kösen of Turkey could not stand straight due some problem in his back. He was located close to the border of Iraq and Turkey. He measured 242 cm. After having undergone a surgical operation, his height was measured to be 8 feet I in or 247 cm. Till date he continues to be the tallest basketball player. 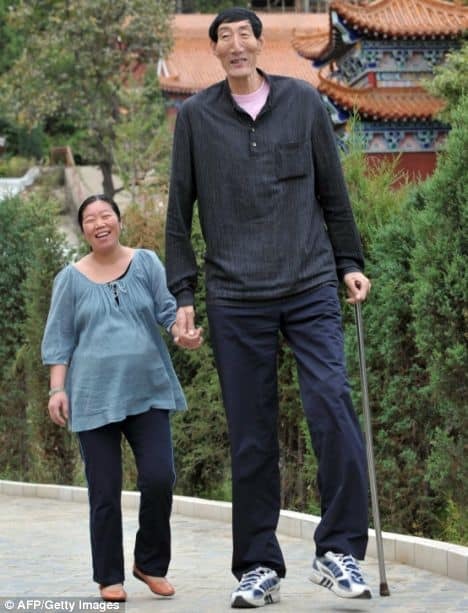 Guinness book of records names Bao Xishun, also known as the “Mast” or just Xishun as the tallest living person. A herdsman in Mongolia, he is 7 feet 9 inch tall. During 2006, veterinarians took his help for removing pieces of plastic from dolphins’ stomach. Bao Xishun with arms as long as 1.06 meter-long could extend them to access dolphins’ stomachs and manually removed plastic. This man from the People’s Republic of China stands 7 feet 9 inch tall. 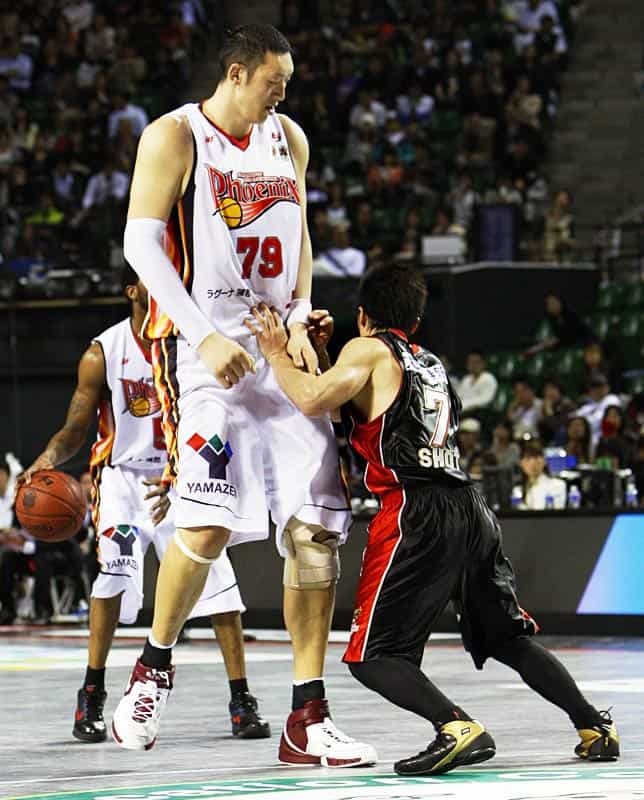 Born in 1983, he is a Chinese baseball player and was the previous second tallest male. 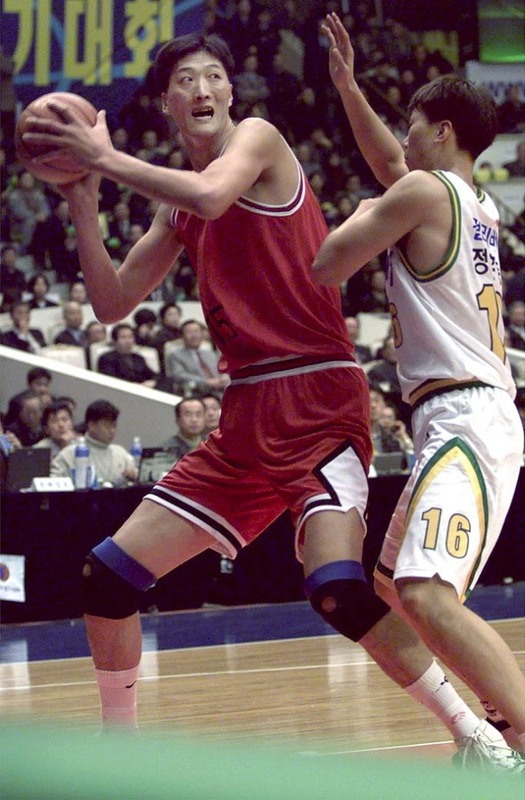 7′-8½” tall, he played as a center for the national basketball team of the Democratic People’s Republic of Korea. He would have played in the NBA during the 1990s but for the US ban on trade with North Korea. Hope you have liked our world’s tallest men list. Do let us know in the comment section if you have any suggestion or name in your mind.